There are various reasons a woman may choose to let go and sell a designer handbag . It could be the fact that it's already gathering dust in the closet, an emergency medical bill should be paid, or the family ran short for the utility bills. 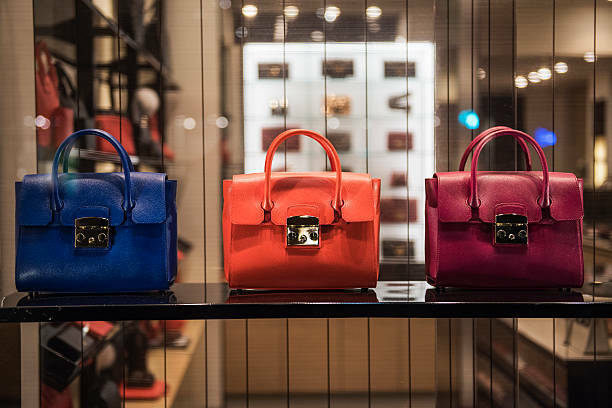 Whatever your reason could be for selling your designer handbag, here are the following tips that can help you to find the right buyer and receive the reasonable amount of cash for your luxury. Do an in-depth research about your handbag? Before anything else, you should do an in-depth research about your designer handbag. Knowing where it was manufactured, the materials used, the edition it belongs, the condition, serial number, and other accessories that are included in the package can help you provide the buyer of the information that they wanted to know. In that way, you will be able to set a reasonable price for your handbag. Classic handbags such as Chanel 2.55 have excellent price rate in the market even if it’s already a secondhand item. You should buy the proper cleaning products that your designer handbag requires in cleaning it. In that way, you will be able to effectively remove all the dirt and dust, as well as some stains and spots if there's any. The better your designer handbag looks like, the higher its price would be. If you got your designer handbag as a gift from a friend, or you’ve bought it online and it’s not a licensed store, you should make sure that your handbag is authentic. The best way to do so aside from research is to bring your handbag to a local retail store and ask for an expert advice. If you didn’t have any idea that your handbag isn’t authentic in the first place, your buyer will most likely to return the handbag to you if proven fake. Make sure that your photos are high quality and well-taken. Choose a plain and uncluttered background to emphasize the beauty of the designer handbag. Make sure that you leave nothing to the buyer’s imagination. The colors, design, and condition of the bag must be seen in the pictures. As much as possible, you should also include when worn photos of the bag and straps if there’s any. It is also important that you write a great description about your handbag if you wanted to attract potential buyers. Include everything that they might want to know. The brand of the bag should be included in the title. In that way, it will be easier for the buyers to find what they are looking for. Now that you know how to properly sell your designer handbag, you should start cleaning the bag that’s been in your closet for years and make extra money out of it. Follow the tips above and you will be able to find yourself a responsible and ethical buyer who will take care of the bag as much as you do.